Another large-scale, commercial urban agriculture project is set to take root over 22 square blocks of Detroit’s east side. 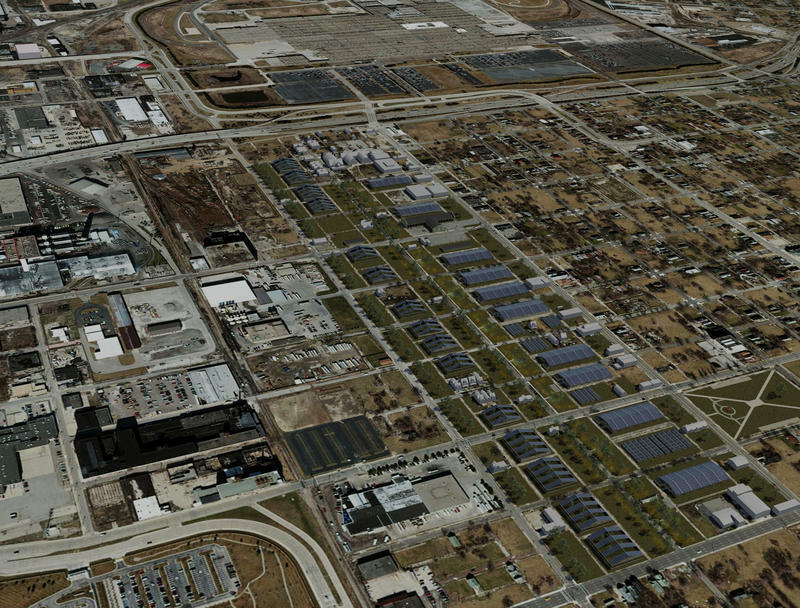 RecoveryPark Farms will lease 35 acres of blighted, city-owned land to launch the effort. 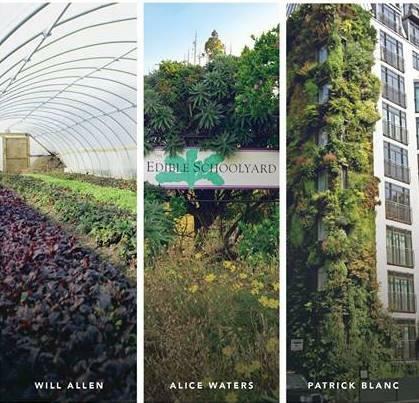 In Detroit we have a real chance to do things with our land that no other major city in the world has ever done. 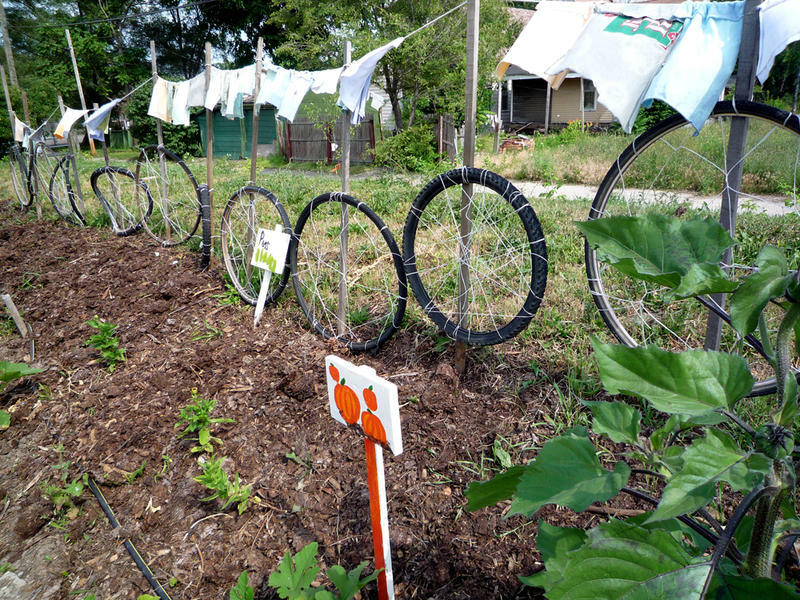 From growing food and producing solar power to planting trees and improving public health, Detroit’s 23 square miles of vacant land offers a future full of possibilities. 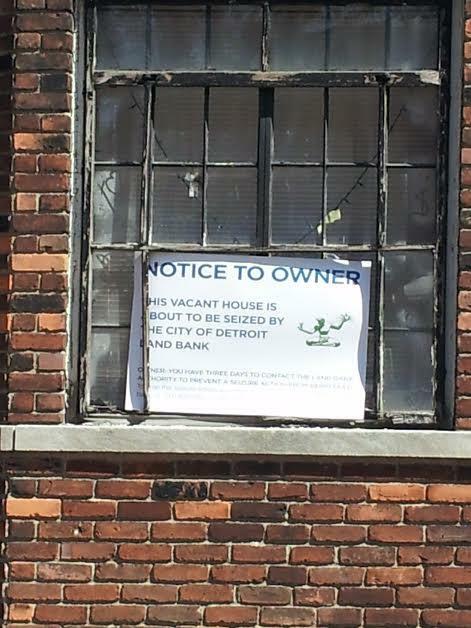 Still less than a year out of its historic bankruptcy, Detroit’s successes and failures continue to make headlines. The city may have shed most of its debt, but it continues to lose population – down more than 60% of its 1950 population of 1.8 million. Take that shrinking population and couple it with Mayor Mike Duggan’s ongoing push to tear down blighted buildings, and you get a lot of empty land. Bill McGraw’s latest story for Bridge Magazine looks at Mayor Duggan’s blueprint for redesigning Detroit. 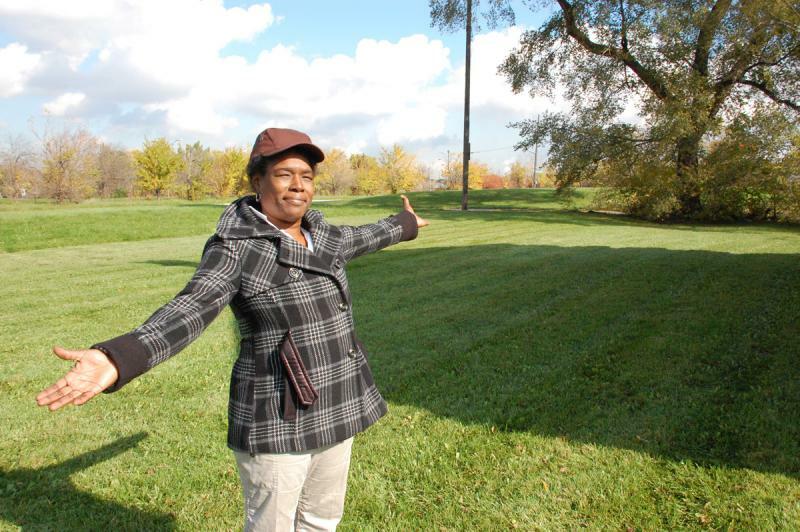 Detroit's mayor wants to let neighborhoods put some of their vacant land to use. "For recreation purposes, for gardening, for off-street parking, or whatever else their community wants, on the condition that the block club approves the use," says Mike Duggan. 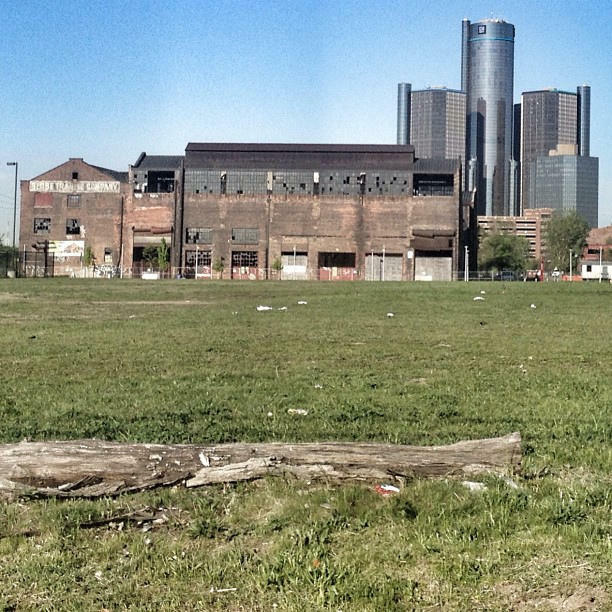 Duggan says his plan would build off the city's successful side lot sale. 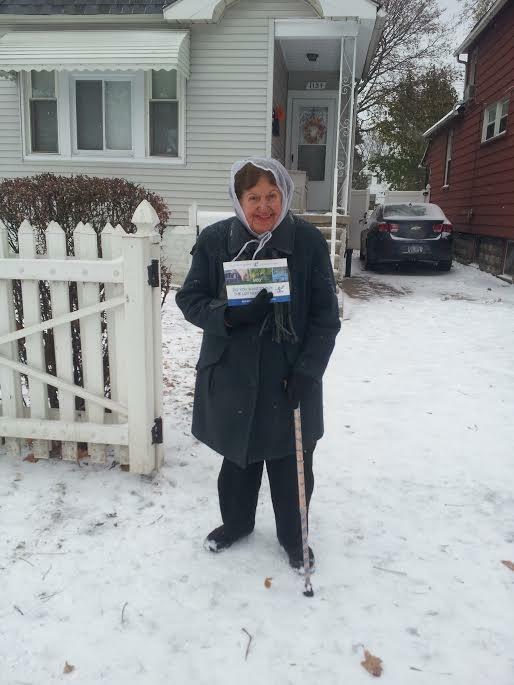 The Detroit Blight Authority is turning its attention to Oakland County. 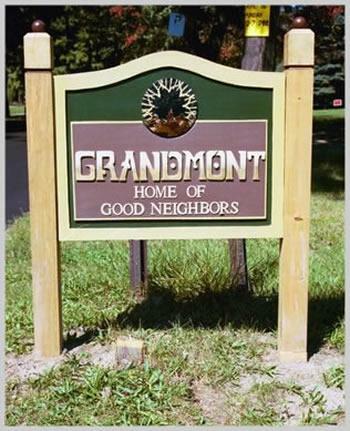 The non-profit group has started working with the city of Pontiac, which has more than 550 homes on a demolition list. Almost 400 of them can be demolished immediately. 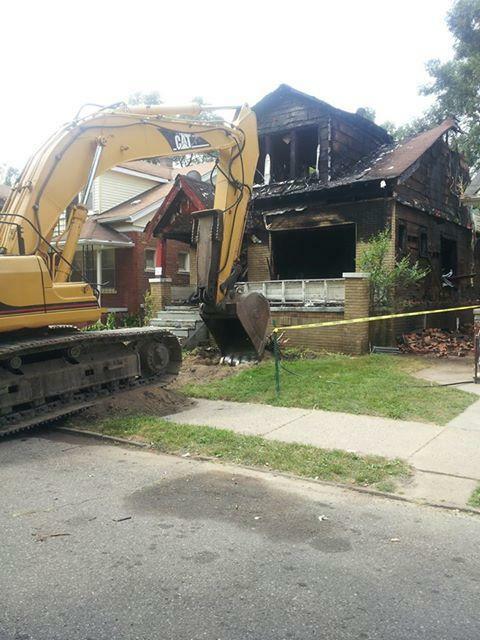 The Blight Authority had been working with the city of Detroit, taking on several large-scale residential demolition projects. 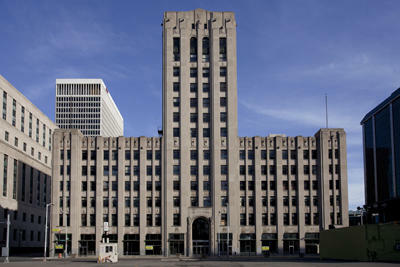 The Detroit City Council has agreed to transfer more than 16,000 city owned properties to Detroit’s land bank authority. 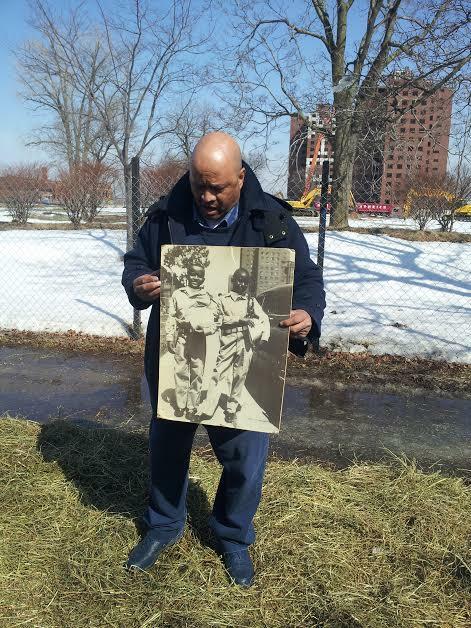 The transfer allows Mayor Mike Duggan’s ambitious blight eradication efforts to move forward. Duggan wants to use the non-profit land bank as a key tool in the fight against blight. A group of grassroots Detroit activists says the city needs to broaden its vision of re-development beyond downtown. It proposes a city ordinance with concrete measures to control blight and revitalize Detroit’s suffering residential neighborhoods. · Requiring banks to post a $10,000 bond for each foreclosure. Groups leaders say this has worked well and raised revenue in other cities. 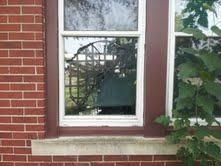 Another shuttered fire station in Detroit has been vandalized. City officials confirmed Monday night that the former Engine 10 quarters in southwest Detroit was hit by vandals, and that some copper piping was stolen. A fire department spokesman would not release further details about the extent of the vandalism Tuesday, saying the department was still looking into it. Detroit officials are showing off progress on some of Mayor Dave Bing’s signature initiatives. 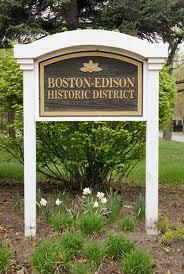 Bing toured a rehabbed historic house in the city’s once-prestigious Boston-Edison neighborhood Tuesday. Boston-Edison has historically been one of the city’s stronger communities, but it’s seen blight creep in steadily over recent years. 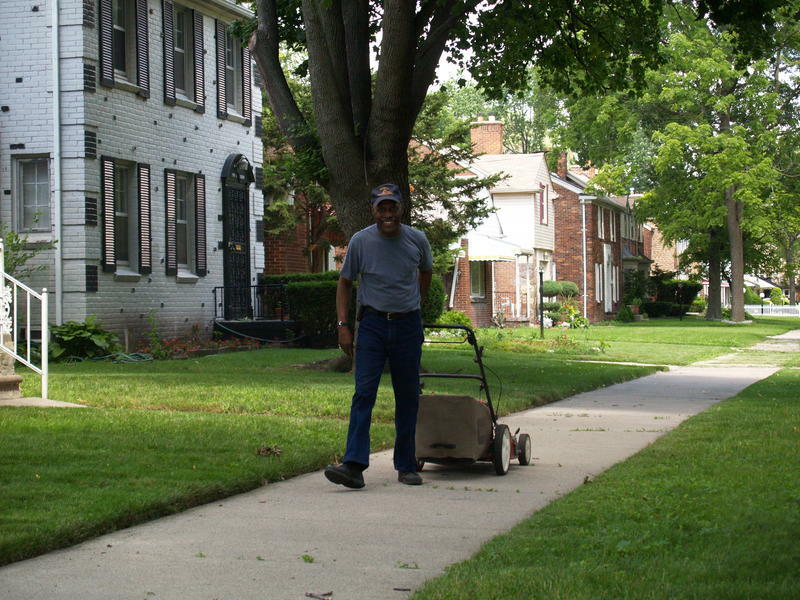 The state of Michigan, the city of Detroit and the Detroit Public Schools have launched an intensive effort to stabilize some city neighborhoods. The targeted interventions focus on three major areas around a total of nine schools across the city. The effort officially kicked off Thursday afternoon outside Clark Preparatory Academy in Detroit’s Morningside neighborhood, on the city’s east side. Other targeted areas include the communities around Bagley and Bates schools in northwest Detroit, and several schools including the Roberto Clemente Academy in southwest Detroit. 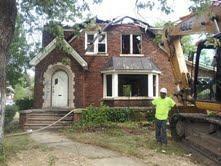 The city of Detroit has launched an effort to take down more than 150 vacant homes in one city neighborhood. The effort kicked off at one intersection in southwest Detroit, where multiple apartment buildings stood vacant and scrapped. 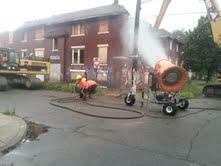 The demolition campaign is part of Mayor Dave Bing’s plans to demolish 1500 abandoned buildings citywide by fall. It’s also tied to Bing’s Detroit Works project, which is an effort to direct resources into stemming blight in some of the city’s more stable neighborhoods. 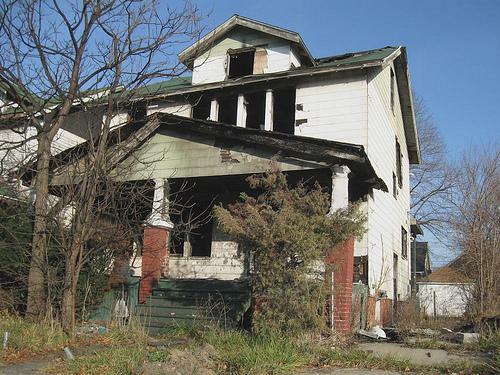 The city of Detroit will receive $10 million of a statewide $25 million fund to counter blight in Michigan. Last month, Detroit Mayor Dave Bing pledged to demolish 10,000 vacant buildings in the city by December 2013, the end of his four-year term. The state funding comes during the mayor's "Summer 2012 Demolition Plan," during which he plans to raze 1,500 buildings by this September. Four apartment buildings and another dangerous structure will be razed simultaneously Thursday morning in the Detroit Works Project Demonstration Area #3. The demolition funds come from the state's $97 million share of a national settlement with banks over faulty foreclosure processes. Yesterday, the Michigan house and senate voted on how to divvy up the money across state projects. 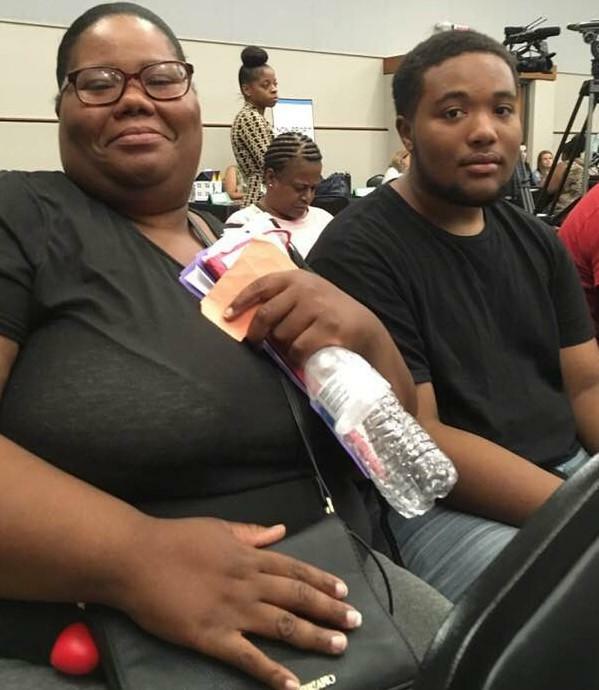 Governor Snyder is ready to send bulldozers, cops and social welfare workers into Detroit. 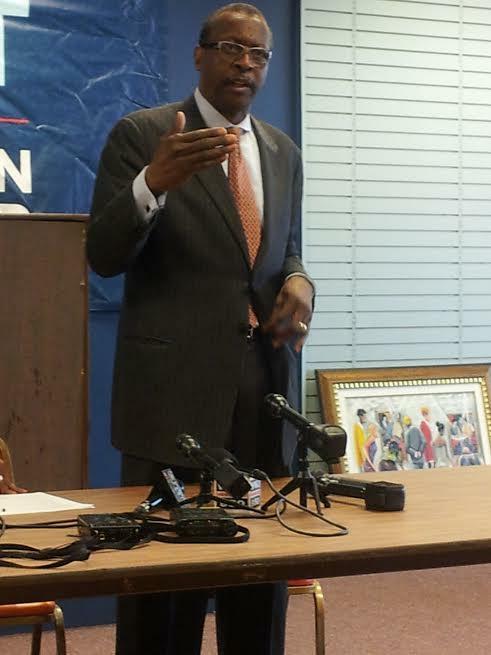 Detroit Mayor Dave Bing confirmed reports Friday that the state is sending money and resources Detroit’s way. The goal is to focus intensely on stabilizing several city neighborhoods, with an emphasis on demolishing vacant homes. Bing says state and city officials chose the target neighborhoods jointly. People have come up with a lot of ideas about how to repurpose the large swaths of vacant land and abandoned buildings in Detroit, but turning them over to the undead is probably a first. No, the zombie apocalypse isn't finally upon us, at least as far as we here at Michigan Radio know. The "zombies" in this case would be "professionals" there to chase paying customers as they flee through derelict neighborhoods and crumbling warehouses. The zombie-themed "game zone" is the brainchild of Clawson's Marc Siwak who told Detroit's WWJ-AM that he envisions a structured game where an initial group of professional zombies catches participants and assimilates them, while the remaining "living" players try to avoid the growing horde. Siwak is currently trying to raise funding through online crowd-sourcing. 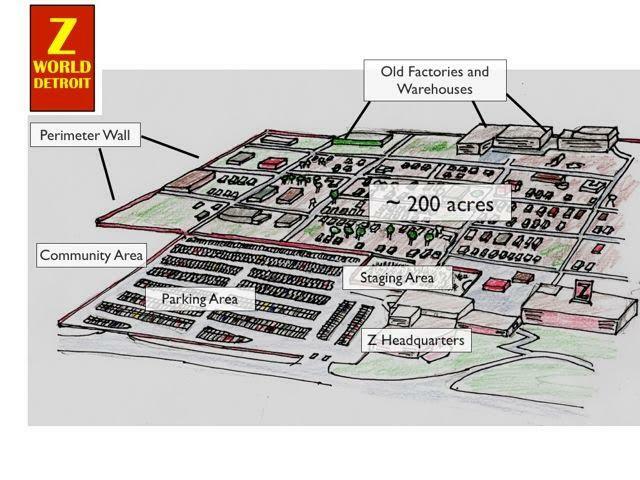 WWJ reports that while he has failed to secure any sort of permission from the city, he thinks Z World Detroit would fit in well alongside urban farms and other projects aimed at transforming blighted areas. 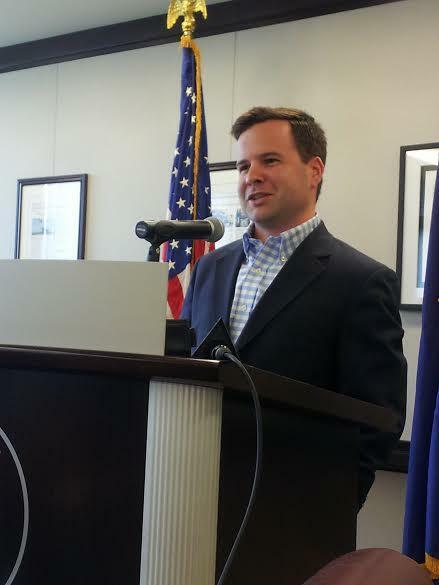 Siwak told WWJ-AM that he's already received resumes from brain-hungry potential employees. 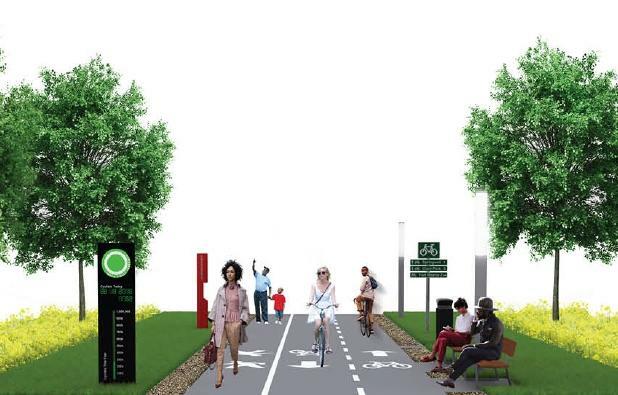 Apparently, the phone has been ringing off the hook over at Detroit’s planning department. 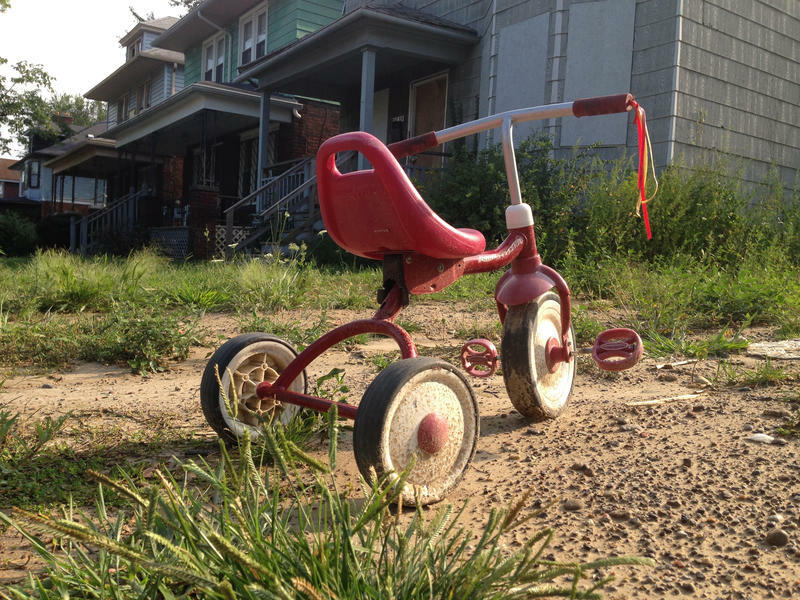 Bing’s initiative is a response to the overwhelming problem of abandoned property in Detroit. It’s a problem we explored in our stories about Detroit “blotters” — which you can see here and here.